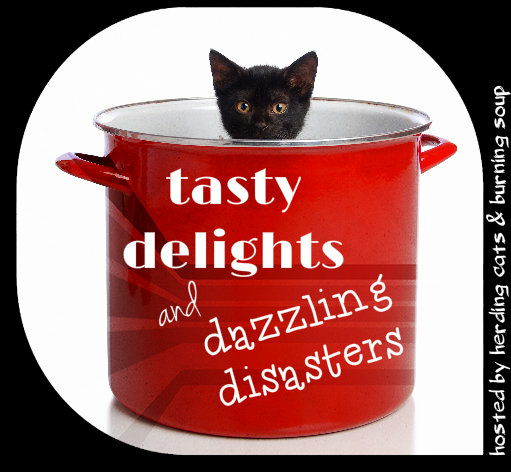 herding cats & burning soup: Tasty Delights: 3-2-1 Cake in a Cup! 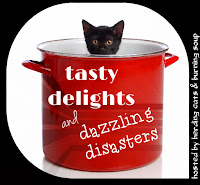 I'll share my delights or my... disasters. 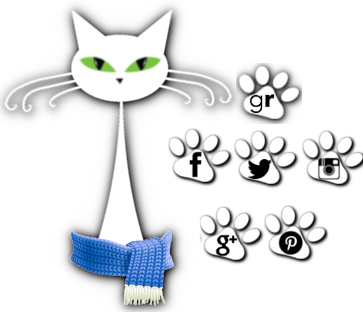 Yall feel free to join in and create your own posts, share your favorite recipes, what have you. 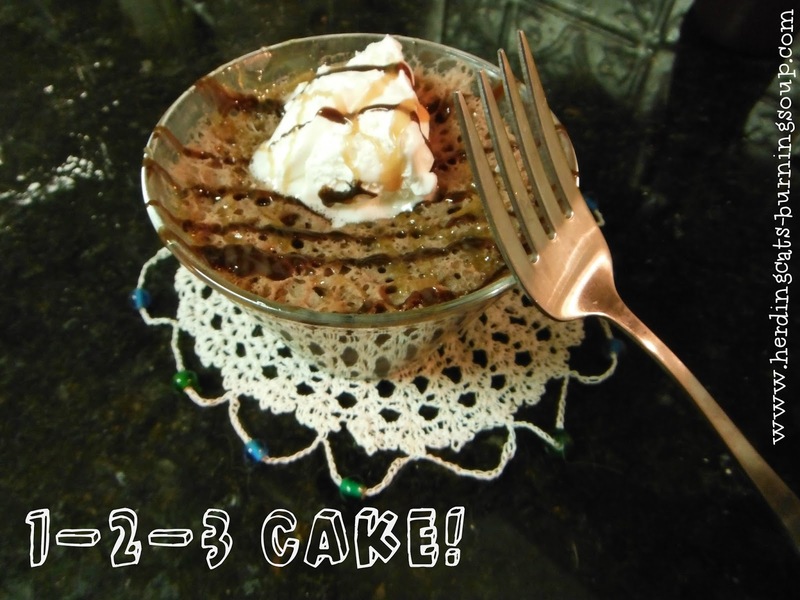 So this week I needed something quick and found a recipe Pat F sent me called 3-2-1 cake. Thanks Pat!! It turned out to be really really simple and pretty tasty too! Took less than 5 minutes! All you need is 2 ingredients. Cake mix and water. Start with an Angel Food mix (you HAVE to use this one) then pick any other flavor you'd like. Combine mixes and store in air tight container. Add 3 tablespoons of cake mix to mug and stir in 2 tablespoons of water. My first attempt was in a big mug and it really didn't work great visually. Taste wise. We're good. So I decided to make it in a little mini dessert bowl I had and that looked much better. And cake in 1 minute. Decorate and top how you'd like. I added whipped topping and drizzled on chocolate sauce and caramel sauce. But fruit, icing, plain, etc. All would be good. It's not the prettiest cake--it's kind of bubbly-- but it really is rather tasty and hits the spot when you don't want to bring an entire cake in the house and need something quick. What do you do for a quick sweet fix? 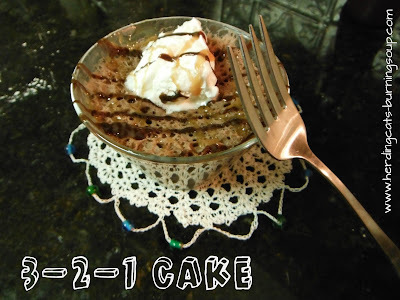 Have you ever tried 3-2-1 cake? 3-2-1 Cake in a Cup Recipe! Top how every you'd like then serve!